Onto other news, this Scandinavian look is just so hot right now. You know how we work with all the largest architectural and design firms, in the world with Weatherwood? Well hear it from me, this white oiled look is MAJOR right now. I've shared how to get it, for two different projects. 2 clean, lint free rags. 1 Step Furniture Paint- Brite. Now, to get that Scandinavian, white-washed look, you'll want to use the white maintenance oil topcoat. APPLY WHITE OIL: Use one rag to apply oil to the wood's raw surface, working boards by board or in 10-12 inch sections. REMOVE EXCESS OIL: Wipe off excess oil in 5-10 min with new clean rag. Keep working in sections, applying with one rag and wiping with the other. You can see how this looks in the below video. REPEAT: You can apply up to 3 coats of maintenance oil. Each coat will continue to lighten the finished product. DRY: Allow maintenance oil to cure 24-48 hours. You can use White Maintenance Oil on your furniture or any other raw wood surface. 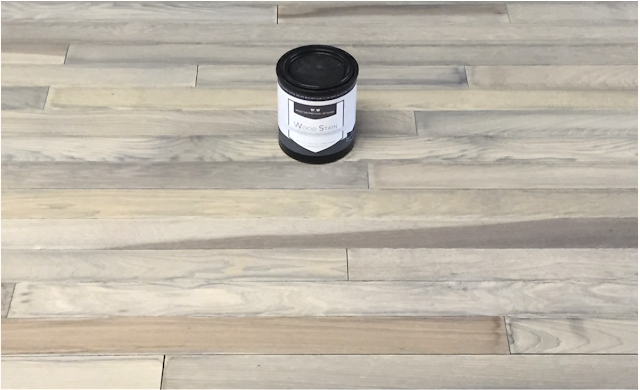 It's an absolutely beautiful finish and very commonly used on floors. It's provides about the amount of protection as furniture wax, so I recommend sealing furniture with Varnish to further protect. SEAL: VARNISH TOPCOAT to seal the look for a maintenance free finished product. PAINT: Use a 1-Step Furniture paint to paint over existing paint or stained furniture. Pearl 1-Step Furniture paint works great! You can totally use this product on larger projects. If you're picturing this on your hardwoods, like in the home tour above, yes! You can totally do that! You can see me applying it to hardwood floors in this video.